As promised, artists flocked to Montreal last night (November 6) to participate in the "Tower of Song" memorial concert for the late Leonard Cohen. 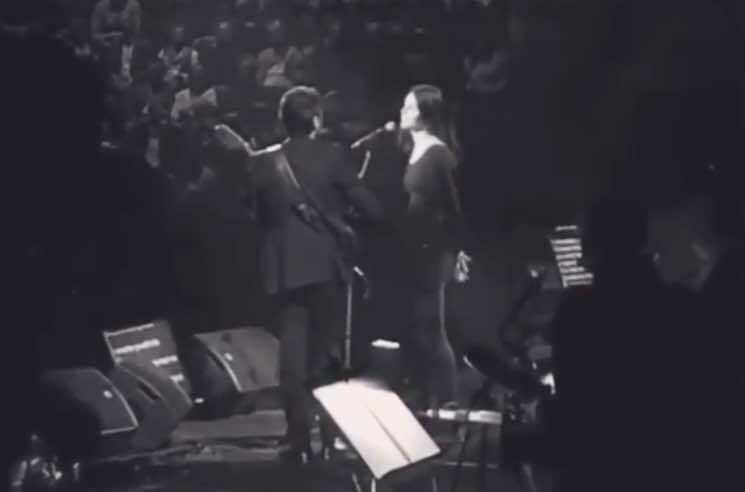 Amongst the star-studded tribute's lineup was Lana Del Rey, and footage of the singer performing a duet with Cohen's son Adam has now surfaced online. The pair joined each other on stage for a rendition of "Chelsea Hotel No. 2" — a song that Del Rey initially covered a year ago upon news of Cohen's passing. Watch footage of Del Rey and the younger Cohen's performance from last night's event below. Pick up Lana Del Rey's latest album and Leonard Cohen's greatest hits collection on vinyl.